A garage door opener is one of those home features that you tend to not think about until it's no longer working. However, given that the average American garage door opens and shuts about 1500 times per year, a quality garage door opener is essential for your garage. Below, you'll find more information about the different kinds of garage door openers. These days, most new homes with garages have an automatic garage door opener. If you live in areas where the weather is frequently cold, snowy, or rainy, pressing a small button from the comfort of your car to open your garage is a small luxury. Garage door opening systems also often include automatic lights that turn on when you open your garage door. Finally, automatic garage doors are safer than manual doors, as these systems often feature key codes to help you protect your homes from break-ins. There are three main types of garage door opener: chain drive, belt drive, and screw drive. A chain drive garage door opener is the most common. This opener uses a chain to pull or push a trolley that moves the garage door up and down. This type of opener is relatively cheap and very reliable. They can, however, be noisy, so these openers often work best in detached garages where the noise won't spread to your home. A belt drive opener uses a belt instead of a chain to open and close the door. While this type of opener is more expensive, it's also much quieter than chain openers. Finally, a screw drive opener rotates a threaded steel rod, which in turn moves the trolley that opens or closes the garage door. 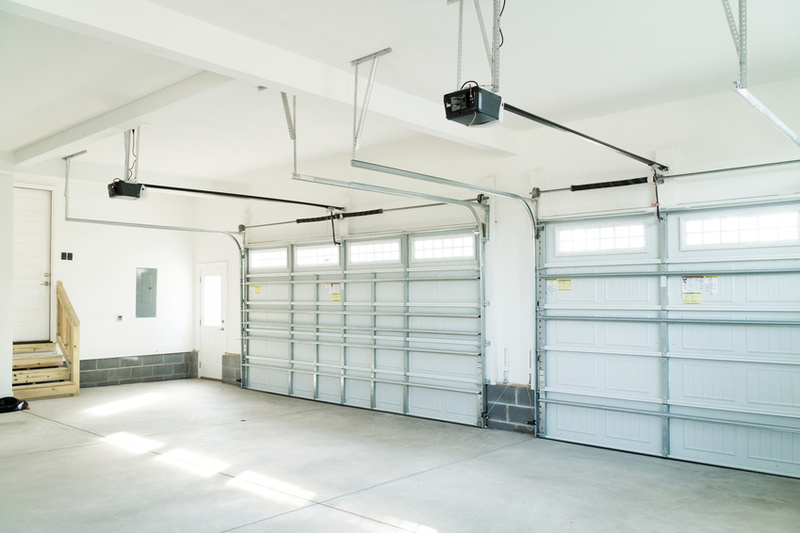 While this type of garage door opener can be noisier than a belt drive, it also features less parts and therefore results in less maintenance. Chamberlain is one of the garage door opener brands. The Chamberlain Whisper Drive Garage Door Opener is one of the top rated openers, praised by reviewers and consumer reports. As its name suggests, the Whisper Drive features a belt drive that is ultra quiet, as well as safety features like an advanced object sensor that stops the door on contact with an object. Another top-rated garage door opener from Chamberlain is its 0.75 HP MyQ Battery Backup Belt Garage Door Opener. This opener will efficiently and quietly lift the heaviest garage doors and includes a timer so that the door will close on its own if you forget. Craftsman is another highly rated garage door opener brand. Its 3/4 HP Chain Drive Garage Door Opener features a heavy duty chain drive with advanced safety and anti-burglary technology. Additionally, while the Craftsman 1/2 HP Belt Drive Opener has less power than some other options, it is quieter than the Chain Drive Opener. This is an excellent option if you have a lighter garage door and would like a quiet system. It's crucial to make sure that your garage door opener is installed safely and correctly. Be sure to check out HomeAdvancement's database to find local contractors who can help you with this project.